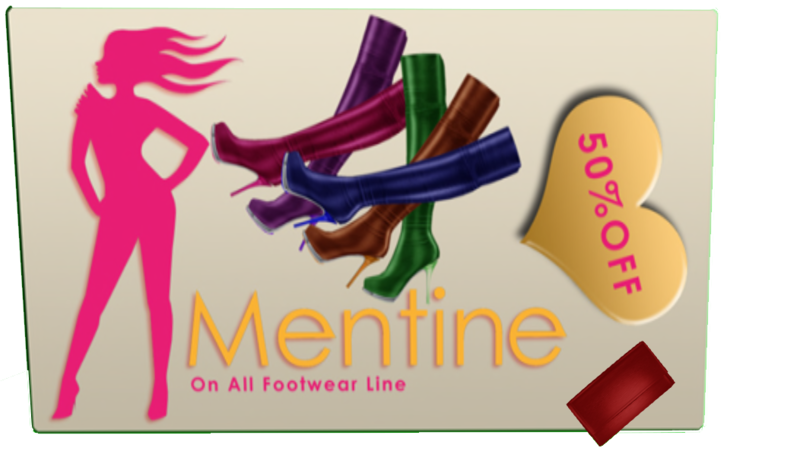 So if you’re a shoe lover like me, you’re gonna be excited about Mentine having a 50% off sale on all footwear line. Sale starts today and how long it runs I’m not sure but here’s a LM so hurry down and get those fabulous shoes Mentine is so known for. Also if you’re not apart of the Mentine group join! She just sent out this fabu TYCOON Leather Pochette which is color changing and too cute for words so join the group to get this free fabulous gift!!! !